On October 12 was held a seminar on a brand Chamäleon. Together with the representatives of Chamaeleon GMBH for the partners of the OBK, who sell products or use them for work at their service stations. Representative of Chamäleon GMBH held a brief presentation of the product. 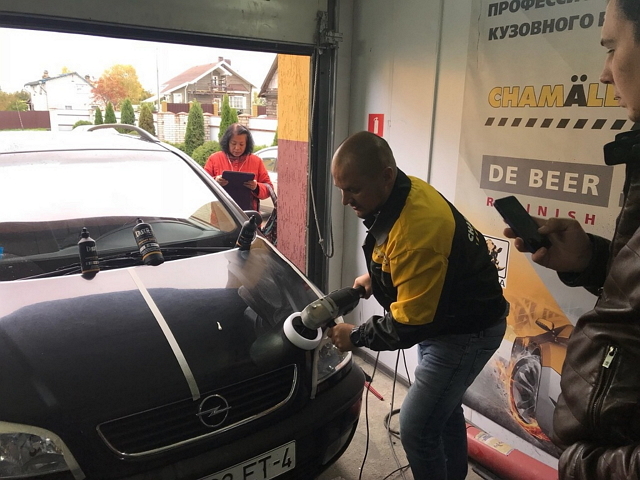 Then the technical body repair products specialist Igor Leonov continued presentation on the groups of products, he discussed with the partners of the company advantages of Chamäleon. 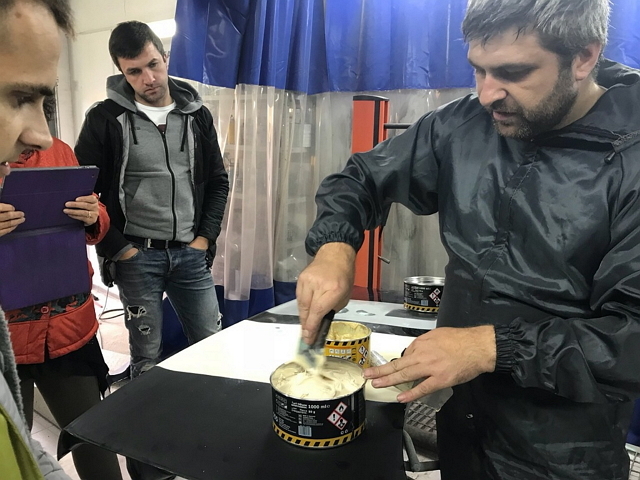 At the practical part of the seminar, the partners were given the opportunity to try the products themselves. 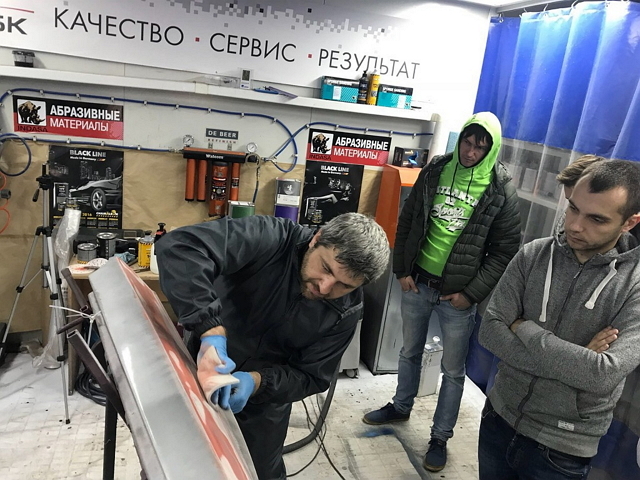 A full repair cycle was made - alignment of the damaged car parts with putty, treatment of putty with abrasive material under the primer, priming of the part, treatment of the ground for painting, painting the details with Ready Mix Chamäleon cans and final coating with varnish. All products were easy to use and showed the best results. 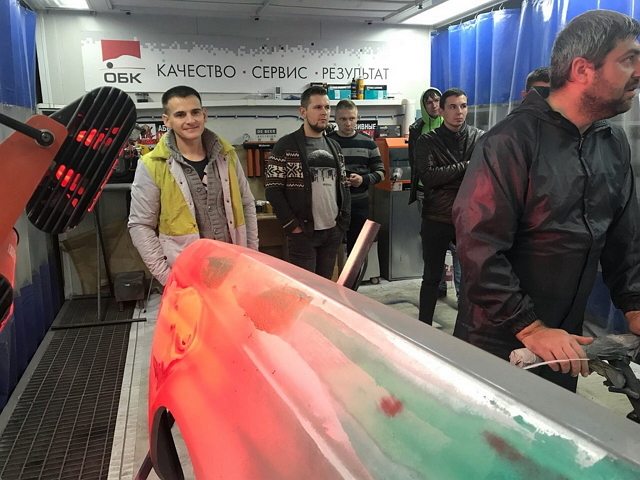 Also was demonstrated the work of Laser polishers, the seminar participants were convinced of the speed of polishing and in a very small expense of products. 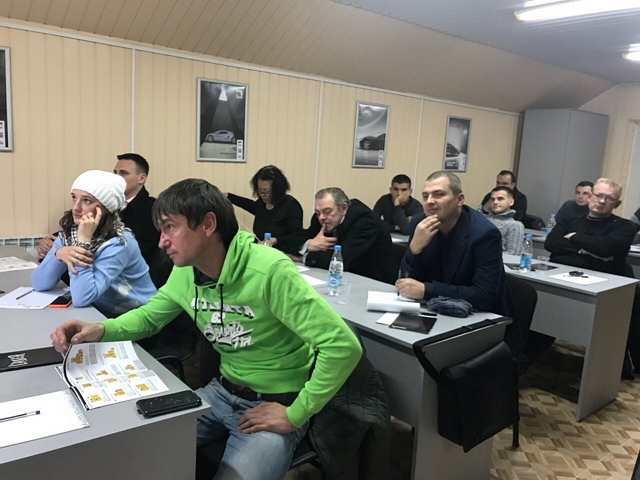 We offer our partners to submit applications to their managers for seminars of this type and representatives of our company in the near future will organize a training program on the topics of interest. Subscribe to our channel on YouTube, get acquainted with the latest information on the website www.chamaeleon-produktion.de. Presentation of Chamaeleon.